These football shirt trophies are ideal as individual player awards for a range of achievements or events. 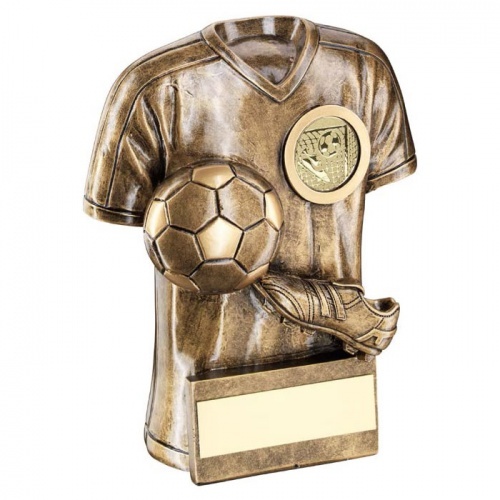 Made in resin with an attractive antique bronze and gold colour finish, they feature a football shirt along with a ball and boot, a 1in football theme centre, and an engraving plaque. They are available in three sizes and offered with text and/or logo engraving options.